I do a lot of cooking, so I was looking for a multi-functional pressure cooker. I found the Instant Pot IP LUX60 pressure cooker on Amazon, and was impressed by all of the features. I especially like the programmable features with 10 built in programs, and the ability to pre-program it up to 24 hours before I start cooking. Instant Pot was designed with 10 proven safety mechanisms to avoid the common safety hazards of stove-top pressure cookers. This includes lid position monitoring, electronic pressure and temperature control. Addiontally, the lid is pressure locked, it has a temperature and electrical current limiting fuse, a dry burn detection with automatic shutoff, and over-pressure protection. High safety standard: 10 safety mechanisms and UL safety certification. Multi-function: Can be used to braise, pressure cook, stew, steam, simmer, saute or brown food. 10 micropressor controlled cooking programs: Easy to use; with a press of a key, I can start cooking my food. The Instant Pot is quiet, and leaks only a little steam, this means more flavor cooked into the food. 24 hour timer that is perfect for meal planning. Up to 120 minutes of manual cooking time selection. Auto warmer: After cooking, the keep-warm function starts automatically for 10 hours. Dishwasher safe stainless steel inner pot, and steam rack. I would highly recommend this product; it is easy to use, and has great consumer reviews. 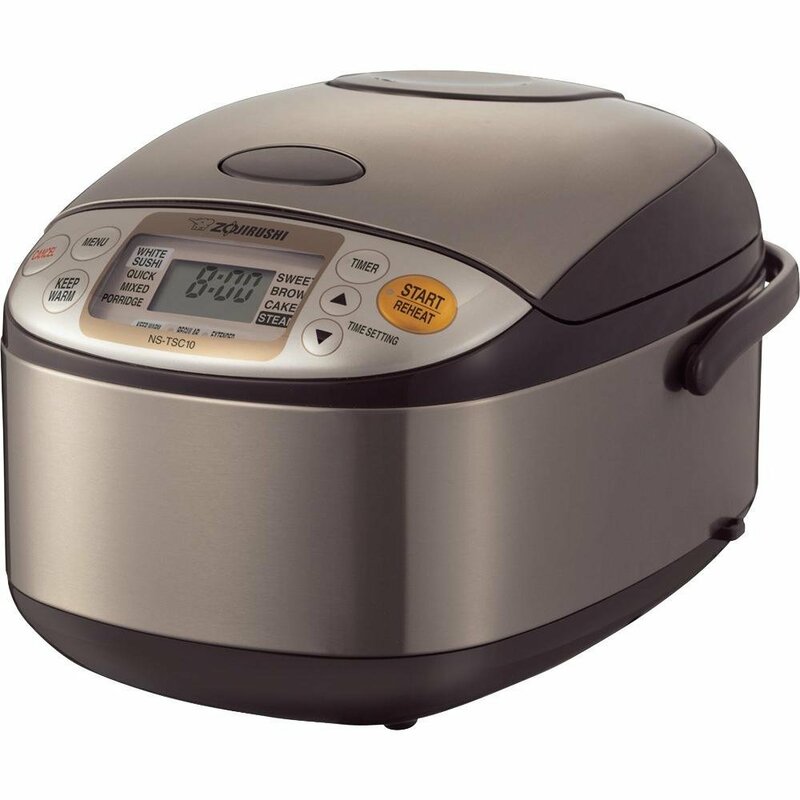 It is priced similar to other pressure cookers in the same range like the Instant Pot IP-DUO which is slightly more expensive. It not only has great cooking features, but a number of excellent safety features.